And a lot more like it “on the rocks”. 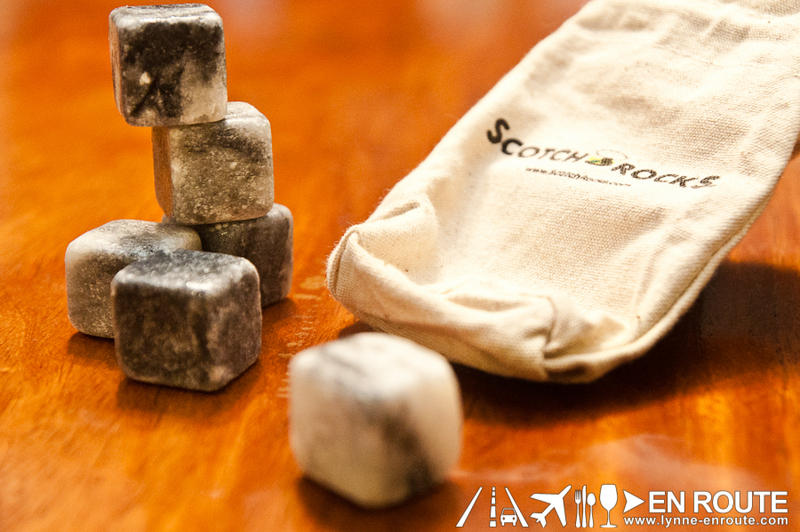 The Scotch Rocks Objective: To chill your scotch without diluting it with too much ice that melts and takes away a lot of the character. This was given as a gift. 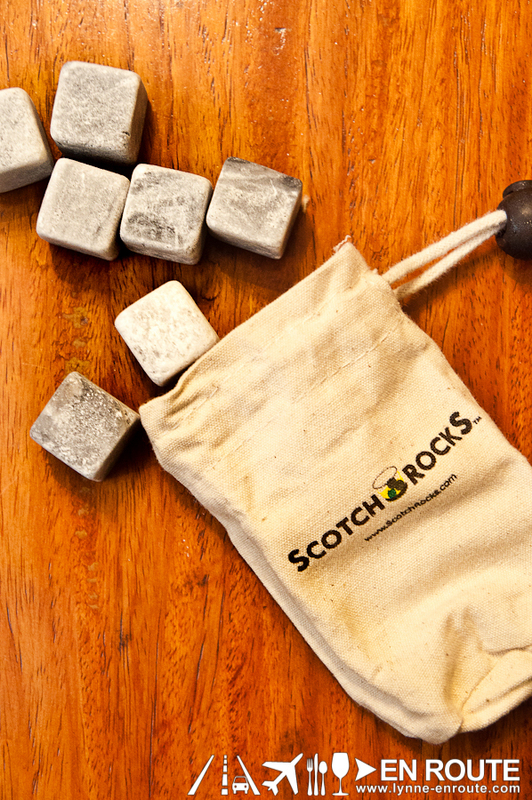 These Scotch Rocks are made from natural non-porous soapstones. They are not supposed to alter the taste, and won’t scratch your glass. It comes with a muslin bag and a couple of glencairn glasses, that allows you to appreciate the scent of the whisky by “nosing” it. It also is the most effective way to keep those scotch rocks from sliding to your teeth. The recommended dose by the seller is three stones on the glass. 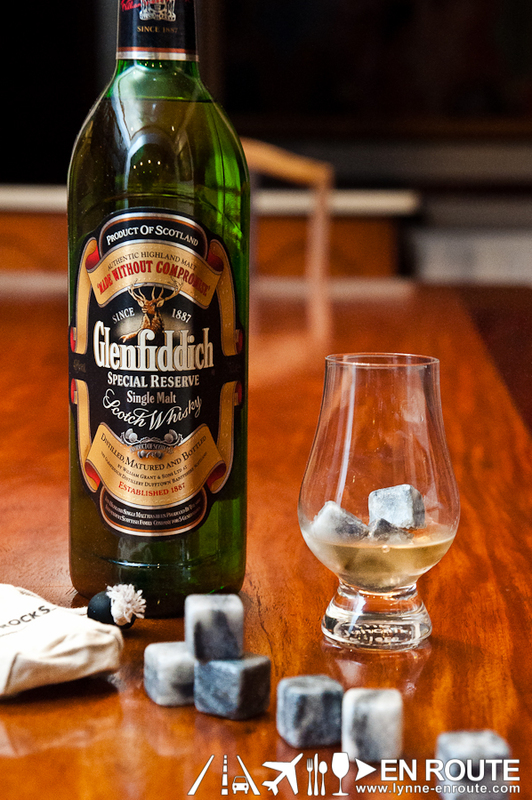 Granted, you do not need frozen stones to chill your whiskey and can just reach for a couple of ice cubes, you can admit that having these on your glencairn glass looks cool. And it does cool it as well. Personal recommended dose: 3 rocks to the glencairn glass, 5 rocks to a normal rocks glass.